After completing his undergraduate training at the University of Cape Town and Groote Schuur Hospital, Dr Brice successfully attained a scholarship from the South African Medical Research Council. He then embarked on a period of research in the Department of Medicine and Biochemistry at the University of Cape Town that led to his doctoral thesis on the molecular biology of angiotensin converting enzyme. 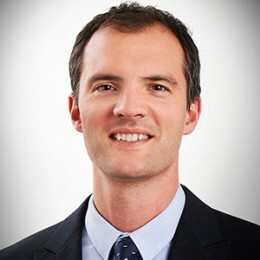 Postgraduate training in internal medicine and cardiology followed at Groote Schuur Hospital and in 1999, Dr Brice completed a cardiology fellowship at the Edinburgh Royal Infirmary. Dr Brice returned to Cape Town in 2000 and took up the position of cardiologist and senior specialist at Tygerberg Academic Hospital. There, he was active in all areas of the specialty including interventional coronary procedures and pacing. He also pursued interests in echocardiography as lead consultant of the echo laboratory. Running the lipid/cardiac risk clinic, Dr Brice participated in many international research trials on therapeutic agents, especially in the field of lipid disorders. Dr Brice offers cardiology consultations several times weekly at Mandurah, Rockingham and Murdoch. He also regularly consults at Narrogin & Geraldton. 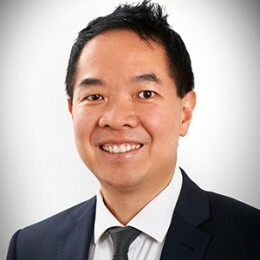 Edmund Lee graduated from the University of Western Australia in 2000 and completed his internship and basic physician training at Sir Charles Gairdner Hospital. 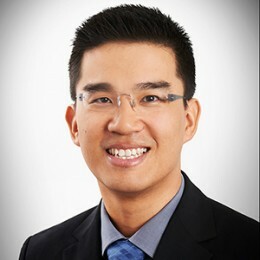 After finishing his advanced cardiology training at Fremantle Hospital, Dr Lee embarked on an interventional cardiology fellowship at the Mazankowski’s Heart Institute in Edmonton, Canada from 2010 to 2012. Whilst having a broad interest in general cardiology, Dr Lee’s main areas of expertise are the management of complex coronary artery disease with stenting and minimally invasive therapies for atrial septal defect, patent foramen ovale and hypertrophic obstructive cardiomyopathy. Other interests include the percutaneous management of valvular heart disease, right heart catheterisation (with particular focus on pre/post transplantation workup), heart biopsies, pacemaker implantation and transoesophageal echocardiography. Dr Lee is available for cardiology consultation at Murdoch, Duncraig, Rockingham, Mandurah, Geraldton & Bunbury. Dr Andrew Liu is a consultant cardiologist at Fiona Stanley Hospital, St John of God Hospital Murdoch and The Mount Hospital. He is the Secretary of the Perth Electrophysiology and Pacing Working Group. Andrew Liu is a graduate of the University of Western Australia and he completed his internship and basic physician training at Royal Perth Hospital. After finishing his advanced cardiology training at Fremantle Hospital, Dr Liu undertook electrophysiology fellowships at Royal Perth Hospital, Flinders Medical Centre in South Australia and The Queen Elizabeth Health Sciences Clinic, Royal Halifax Infirmary, Halifax Canada. Dr Liu has been at the forefront of treating patients with heart rhythm disturbances in recent years. He established the Heart Rhythm Unit (Electrophysiology Service) at Fremantle Hospital and has had a major role in developing the Heart Rhythm Service at St John of God Hospital Murdoch and Fiona Stanley Hospital. He implanted the first implantable Cardiac Defibrillator (ICD) at Fremantle Hospital and his team was the first to implant an MRI compatible pacemaker in a public patient in Western Australia. 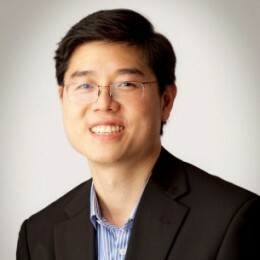 Dr Liu holds an academic position at the University of Notre Dame, Fremantle. He specialises in the treatment of arrhythmias including insertion of pacemakers, defibrillators, cardiac resynchronisation devices and catheter ablation of atrial fibrillation and other heart rhythm disorders. His other interests include the management of heart failure and general cardiology particularly, the assessment of chest pain, shortness of breath, syncope, palpitations and interpretation of difficult ECGs. Dr Liu consults at Murdoch and Mandurah. Chris Judkins is a UWA graduate (MBBS) who trained in Cardiology at Sir Charles Gairdner Hospital (FRACP). Interventional Cardiology fellowships were performed at Sir Charles Gairdner Hospital and St Vincent’s Hospital Melbourne. Chris is a General and Interventional Cardiologist who specialises in radial (wrist) access for coronary angiography and stent implantation, invasive coronary imaging and fractional flow reserve (FFR) to guide appropriate stent implantation. Other areas of interest include the management of resistant hypertension, dyslipidaemia and lifestyle intervention to decrease cardiovasular risk. Chris is involved in cardiovascular research directed towards a better understanding of heart disease and improving patient outcomes. He has completed a Master of Clinical Research (MClinRes) through UWA and a PhD in Cardiology through the University of Melbourne with a focus on novel lipid and protein biomarkers of cardiovascular risk. 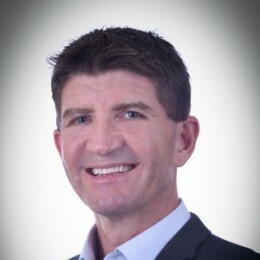 Chris is director of Perth Heart (www.perthheart.com), an online cardiovascular educational resource for patients and healthcare providers. Chris consults at Murdoch, Midland, Narrogin, Katanning & Broome, and admits to SJOG Murdoch and the Mount Hospital. Chris has a public appointment at Fiona Stanley Hospital. John Tan is an interventional cardiologist. He graduated with Honours from the University of Western Australia in 2004. Dr Tan completed his internship and basic physician training at Sir Charles Gairdner Hospital, followed by advanced cardiology training at Fremantle Hospital. After obtaining his fellowship from the Royal Australasian College of Physicians, he travelled overseas to train with Dr John Webb who is widely regarded as a pioneer and world expert in the field of transcatheter aortic valve implantation (TAVI). He returned to Perth after completing a two-year clinical fellowship in interventional cardiology at the Centre for Heart Valve Innovation, St. Paul’s Hospital in Vancouver. Dr Tan has a strong interest in the management of structural heart disease, with multiple publications and presentations at international meetings. He has extensive experience with minimally invasive percutaneous treatment of valvular heart disease (transcatheter valve replacements and balloon valvuloplasties), as well as percutaneous closure of patent foramen ovales, atrial septal defects and left atrial appendages. John is an accredited TAVI operator, a key member of the TAVI team and he played a major role in establishing the TAVI program at Mount Hospital in June 2017. He has been performing TAVI procedures at Mount Hospital since the program began and he is also currently involved in training other cardiologists to perform TAVI. Dr Tan’s other major interests are the management of ischemic heart disease and complex coronary artery disease. He has expertise with coronary angiography and coronary angioplasty with stenting using the trans-radial (wrist) approach. Dr Tan consults at Murdoch, Mandurah and Geraldton. Joseph Hanna is a consultant interventional and clinical cardiologist. He is a fellow of the Royal Australasian College of Physicians and a member of the United Kingdom’s Royal College of Physicians. He completed his basic Physician training at John Hunter Hospital, New South Wales, before undergoing advanced training in cardiology at the Gold Coast University and the Prince Charles Hospitals, Queensland. He then travelled to Canada, where he undertook a high-volume interventional cardiology fellowship at the Vancouver General and the University of British Columbia Hospitals under the mentorship of world-renowned, pioneers in the field. 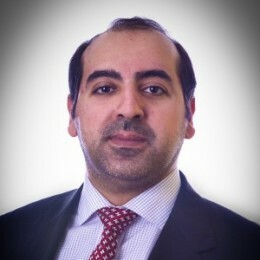 Dr Hanna has a wealth of experience in all aspects of clinical and interventional cardiology. His main area of expertise is the management of complex coronary artery disease through the use of advanced intra-coronary imaging modalities and physiologic flow assessment to optimise stent implantation via radial and femoral approaches. 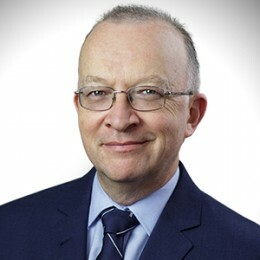 His other interests include the percutaneous management of structural heart diseases, including transcatheter aortic valve replacement and patent foramen ovale closure for stroke prevention, as well as right heart catheterisation and cardiac biopsies. Dr Hanna is experienced in preventive cardiology, chest pain assessment, heart failure, arrhythmias and peri-operative management of cardiac patients. He also performs transoesophageal echocardiography, exercise and Dobutamine stress echocardiography. Dr Hanna has a keen interest in research and has presented his findings both nationally and internationally. He was a Lecturer of Medicine at the University of Queensland and has published many articles in well respected, peer reviewed cardiology journals. Joseph Hanna is available for consultation at Murdoch, Duncraig, Bunbury, Narrogin & Geraldton. Troy was born and raised in Perth and was a school teacher prior to his career in Medicine. After studying for his BMBS at Flinders University in Adelaide he returned home and has trained, taught and worked in most of the major teaching and regional hospitals in WA. He is well known for his efforts to improve support and education for medical students and junior doctors. Troy is interested in all areas of cardiovascular health including preventative care, heart failure and cardiomyopathy and is Fellowship trained in Interventional Cardiology. After a decade of public service he has joined WA Cardiology with the express purpose of providing access to excellent and affordable cardiac services for all Western Australians. Troy consults at Murdoch, Rockingham & Midland. Sekaran Gana is a highly experienced general and imaging Cardiologist. 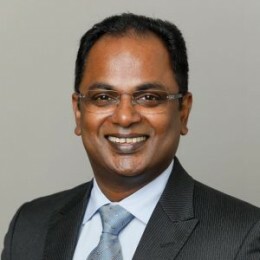 After graduating from medical school, Sekaran obtained a PhD from the University of Bern, Switzerland, in which he investigated the genetic and molecular aspect of hypertension. He then relocated to Western Australia and completed his basic Physician training at Sir Charles Gairdner, before undertaking his advanced training in cardiology at all three of Perth’s major teaching hospitals. He then undertook a Fellowship in echocardiography at Fiona Stanley Hospital, specialising in advanced echocardiographic techniques, stress echocardiography and transoesophageal echocardiography. Sekaran’s main clinical interests include the primary prevention of heart disease and the cardiovascular care of patients with cancer. He also has particular interests in the management of coronary artery disease, valvular disease, cardiomyopathies and resistant hypertension. Dr Gana regards every consultation as an opportunity to educate patients about cardiovascular disease and its prevention. He works closely with all involved in the patient journey and appreciates that clear communication is vital for best support and care. Sekaran is highly committed to ongoing teaching and research and strives to keep abreast of the most up-to-date knowledge in cardiology. His work has been published in international journals and he has presented at many international meetings. Dr Gana is multilingual and able to communicate in Tamil, Sinhalese, Russian and limited German. Dr Gana consults regularly in Bentley, Mandurah, Rockingham, Duncraig, Midland and Geraldton.